Did you know how to do abortion at home? Intrauterine pregnancy – Pregnancy must be present in uterus. Extra uterine devices first need to be removed through the surgical option. Such pregnancy if continued then it can result in death. 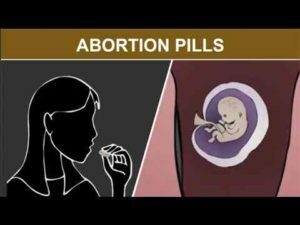 Below 10 weeks of pregnancy – Women can consume abortion pills whose pregnancy is 10 weeks below. One can observe best results, if the abortion pills are consumed within the 70 days of gestation (10 weeks pregnancy). One can count pregnancy duration from their last menstrual period. 2 primary pills are Mifepristone and Misoprostol, Women need to use these 2 pills for safe abortion. MTP Kit can also be used for termination of pregnancy. What is the time taken for termination of pregnancy? Through tablets for a woman it might take from a day to 2 weeks. Most of the ladies observe successful abortion within a week. In rare cases it can take one more week to completely expel all the pregnancy parts from the womb. One Mifepristone pill (200mg) consumed first with water. Later after 24-48 hours, one must consume 4 Misoprostol pills each of 200mcg placed inside the cheek pouches and allow them to dissolve for another 30 minutes and then swallow the remaining medicine. It is advised neither the pill should be chewed or powdered. Know about the symptoms experienced during abortion? Before women buy abortion pills online, one should be aware of medical regimen experiences. Symptoms include stomach cramps and heavy bleeding within an hour or two after intake of Misoprostol pill. Bleeding quantity will be greater than usual periods. One can experience the mild cramps. In case of more than 7 weeks pregnancy then the person might experience the strong cramps. Side effects observed during abortion are vomiting, abdomen ache, nausea, diarrhea, headache etc. No need to worry regarding these symptoms, if fever continues for more than a day then it is better to consult doctor. For safety reasons women must follow some of the instructions during abortion process. Women who smoke more than ten cigarettes a day should not purchase abortion pill online, greater than 35 years old and more than 10 weeks pregnant women must not consume these pills. During the process body should not perform put physical stress. If women facing any further major health issues then must talk to doctor before abortion pills consumption. Don’t consume the grape fruit it might elevate serum levels of Mifepristone. Avoid intake of itraconazole or ketoconazole, erythromycin. Know about what next, after abortion? Menses gets regularized in less than 60 days. Bleeding may continue for another four to six weeks after pregnancy termination. Sexual activity can be continued after two weeks take care to maintain the hygiene levels. Consumption of abortion pills will not cause any side effects to future pregnancies.